The vacuum tungsten furnace Max.temp. Up To 2200℃. 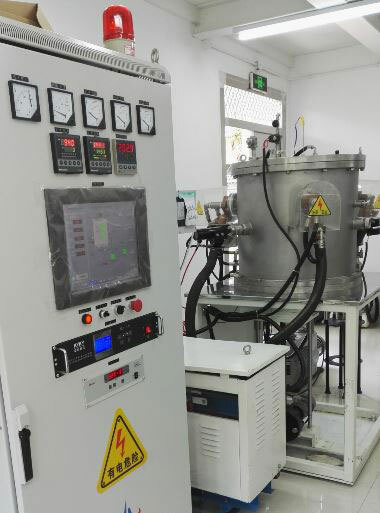 This equipment is cycle operation type, full stainless steel, the surface inferior smooth sandblasting, wall mirror, main ceramic (such as transparent alumina, magnesia sinter), such as tungsten electrode under high vacuum sintering and degassing treatment, also can be applied to vacuum sintering of tungsten and molybdenum products. Using type body, furnace cover, furnace, furnace bottom, heating element, the metal reflector screen, vacuum system and electric control system and other parts. Furnace body beautiful shape, draw lessons from foreign advanced design concept, combined with the innovation, the company designed the high temperature furnace, heating element adopts three-phase tungsten heating network, service life is long, the new structure heating element deformation is small, also special energy-saving. Please specify temperature and size requirements and fully describe your application.